Australian Little League was first launched in the year 2007 with Australia becoming one of over 75 countries that are involved in Little League. 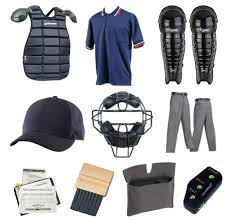 The QBUA has some specific umpire equipment available for purchase. Please contact Mark Bramwell if you are interested in any gear or about your enquiry. Welcome to the Queensland Baseball Umpires Association Incorp. The Queensland Baseball Umpires Assoc (QBUA) is home to umpires past and present officiating in the Queensland region. Our members officiating duties range from those in juniors to those who have or are representing the QBUA in State, National, International and at the ABL Level as well as all domestic competitions. The QBUA has a strong and proud history forming as the first baseball umpiring association in Queensland. The QBUA’s key objective is to deliver and promote the game of Baseball and the umpires who support it. With a strong member base, history and future the QBUA leads as one of the strongest umpiring associations in Australia. Our website is available and open to all who wish to learn more about us and such a special part of the game! The website is updated regularly with a number of media forms including resources like videos, photos, quizzes, news articles and blogs. We highly encourage everyone to come back and check regularly! Our new website will hopefully cover everyone’s questions as to how to go about becoming an umpire and also how to become a member of our association. Together with Baseball Qld , Baseball Australia, we Endeavour to help umpires become accredited and fulfill their goals in the umpiring community. To provide the umpire services to the baseball fraternity throughout Queensland and its affiliates. To support the education and development of officials in baseball. To provide opportunities to emerging officials. To create a professional organisation by extensive education and instruction”. To build the QBUA brand by better leadership, better value and competent fundamental principles. To attain continual education and improvement in every level of officiating. To increase members numbers by training and retaining, as well as identify potential quality members. To support potential, new and existing members. To be recognised as a leader in Baseball Officiating. The QBUA meets the 2nd Tuesday of each month at a Venue to be announced at 7.30pm during the normal season. Out of normal season the General meeting is only held every three (3) months.